The adventures of Lara Croft are always exciting and the best part about them is that you can now take a part in them. The Microgaming and its excellent Tomb Raider slot will allow you to do it. So get ready to follow Lara in her quest for the sword where you will need to cope with many dangers and live through countless adventures. 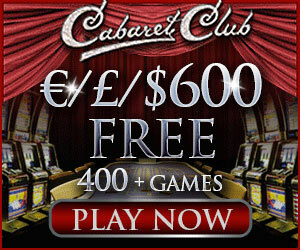 The numerous winning combinations and bonus games will help you feel a lot more comfortable about it. The least paying symbols in the Tomb Raider slot are the card symbols. But even when they form a line of three or more on the reels they will bring some considerable winnings. Still, what the gamblers should be looking for are the different Lara Croft symbols as these may bring from 500 to 5,000 the amount of bet if one gets really lucky. Even the Wild symbol in the game contains her image, and if you gather five portraits of this beautiful raider you are guaranteed to receive up to 7,500 the amount of bet you made. Besides a Wild can replace any symbol and add up any combination to make it a winning one. Tomb Raider slot machine online also has a Scatter and free spins. The sword itself, the Excalibur, will serve as the Scatter giving free spins with 5x multiplier when appearing on the reels. There is the exciting Super Mode in the game that can be triggered randomly giving a player 5 free spins. It is not rare when the slot will give three wilds within the free spins that will freeze till the spins are over. On top of that the Scatters have a pay-out table of their own that does not depend on the active reels. Should the blue passport appear in the center of your monitor – get ready for the bonus game and the global journey it provides. While it lasts the entire slot will be lit with the soft blue light making visiting the five different countries a bit more tense and special. Once you find the Hidden Treasure the player will receive his prize and proceed to the bonus super game with the impressive prize of its own. The Tomb Raider game does not offer auto-play which contributes to the good part to our opinion, since one does not join such a bright slot with superb graphics and sound effects to live the playing to the machine. The same story is with another Microgaming slot League of Fortune and we certainly do not like it less for that. All in all the game is a little masterpiece and there is no surprise its army of fans is so numerous and so many casinos, including Crazy Vegas, All Slots, and Jackpot City offer it for playing.